Because we’ve already spilled concierge secrets, explained how you’re infuriating housekeeping, AND listed the worst decisions you can possibly make while staying at a hotel, this time we decided to ask a hospitality expert, Jacob Tomsky, author of Heads in Beds: A Reckless Memoir of Hotels, Hustles, and So-Called Hospitality, for the best tips on how to score deals (and free stuff) from hotels. And boy, did he have some good ones. 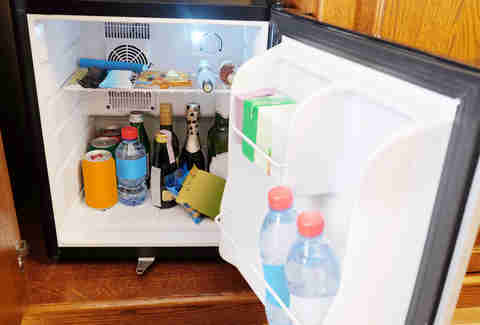 Here are his 11 secrets that hotels don't want you to know. Is it true that if you cruise the web long enough you’ll find the cheapest room out there? Yea, sure. And when you arrive at your hotel, you’ll find the room is just that -- cheap. Maybe even the "reject room." If you’re booking through a third-party site, the hotel isn’t making much of a profit off you and is likely to pay less attention to your requests. Enjoy those two twin beds! It's better to find the cheapest rate online, and then call the hotel directly to book -- it cuts out the middle man and may even get you an upgrade. 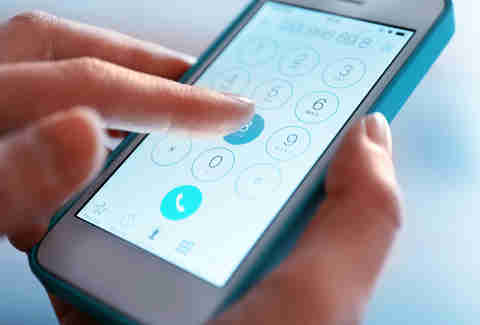 National reservations lines rarely have the authority to offer discount rates, so when you call, skip the 800 number and go directly to the hotel's local number. Not only can you bring your online research to the hotel manager, but you can also ask him or her directly if they'll match or better the rates you're seeing offered elsewhere. No one likes eating the hotel cancellation fee when plans go awry. But guess what? You don’t have to. Simply call the hotel and tell them your business meeting was moved to next week, and that you'd like to push your room reservation to that date. Now, when you call the next day (and talk to someone different), you’ll be canceling several days in advance, not within 24hrs. And well within your rights. So sneaky. You don’t have to break the bank to get a bottle of complimentary wine or the room with the best flat screen. No, thanking the desk manager with a $20 when you check is often enough. It could mean extra charges get dropped; late check-out times offered; or even help "remind" him or her that the room with a lake view and large bathroom is, in fact, vacant. Remember: Not all rooms are created equal. And it can't hurt to be friends with the folks who are in charge of doling them out. Or “walked,” as they call it in the hotel biz. This secret won't save you any money, just a whole lot of hassle. Bottom line: hotels, like airlines, overbook to compensate for inevitable no-shows and cancellations. Generally, taking this gamble works out for the hotel, but every once in a while, there are too many people and not enough rooms. While they do have to cover the cost of putting you in another hotel, they don't usually offer any compensation for your inconvenience -- so, unfortunately, no vouchers for free rooms. That said, checking in early is the best way to ensure it's another customer who gets sent down the street, and not you. 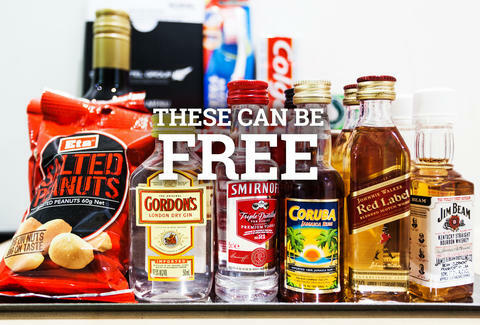 Mini-bar fees are the most disputed charge on a hotel bill because so many factors can render them inaccurate. The secret: they are challenged by guests so frequently that it’s more likely they’ll drop the charge than risk losing your future business. It could be that the mini Jack Daniels wasn’t restocked since the last occupancy, and why should you be punished for their lazy turnover? Or, it could be that you just ate three snickers bars, who's to say? So you accidentally clicked on that, ummm, "movie." Or the movie froze mid-view. Or it didn’t start at all. This DOES happen, and it could have happened to you. Hotels generally pay a flat subscription fee for the movies they offer, and much like with the mini-bar, they aren't interested in your sad story. Just call down, throw out an excuse, and say it’s too late now, you just want the charge dropped. Watch the front desk agent save himself the headache and save you a little cash. It’s practically a victimless crime. NOT being a jerkwad goes a long way, let's just start with that. But if you do have problems with something during your stay, bring it up calmly at the front desk and explain how it could be rectified. If the front desk agent doesn't seem too interested in solving the issue, ask for (and write down) both his or her name, and the manager's. There's nothing like a simple gesture that says, “I’m holding you accountable,” to get people in gear. 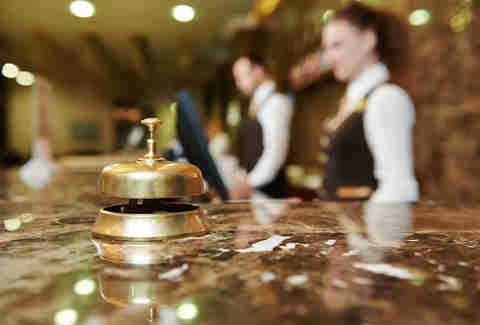 You just need to call in advance and reserve a room that they know will be vacant the night before your arrival. Assuming the hotel is not more than 80% full, those rooms are given out first-come, first-serve. Or, if you have an early enough flight, call the hotel (directly, once again) at 7am and say you’ll be there in an hour -- even if it’s more like a few hours -- and that you’d like to "pre-register." Pre-register is a hotel buzz word and the staff will consider it a pre-check-in. When you arrive at 1pm during their rush, you won’t have to fight anyone for an early room because yours was reserved hours earlier. Want to steal the bathrobe? Do it IMMEDIATELY*. Robes are comfier on vacation -- the exact reason for this, we’ll never know. But simply taking one when you check out doesn’t work because THEY'LL CHARGE YOU when they realize it's missing. That's the exact reason they have your credit card on file. However, shoving that same robe into your suitcase as soon as you arrive and then calling down later that night to report your room wasn’t replenished with this amazing, plush amenity that you must wear right now, well, that just might work. It happens all the time. *Not that we condone stealing; this is for informational purposes only. If you get sent to a city regularly for business, make a point to stay at the same hotel each trip. The employees will learn your face, name, and your propensity to treat them with kindness and $20 bills (we told you to tip and we meant it), and will likely return that generosity with nicer rooms and complimentary swag.